Whistleblower Christopher Wylie looks on after a press conference in the offices of his solicitors, Bindmans LLP on March 26, 2018 in London, England. The Canadian whistleblower at the center of recent international furor over misuse of Facebook data told UK lawmakers on Tuesday that one of his predecessors may have been “poisoned” a half decade ago. 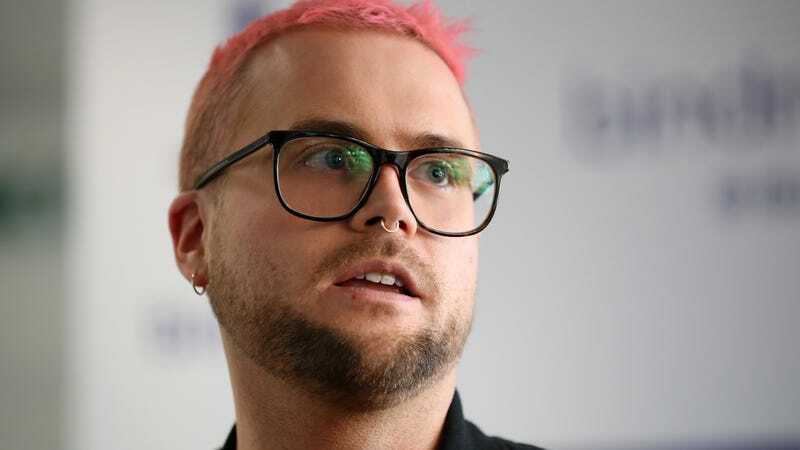 Christopher Wylie, the 28-year-old political strategist whose allegations against Cambridge Analytica have prompted investigations on both sides of the Atlantic, told the British parliamentary committee on media that one of Cambridge’s former employees, Dan Muresan, may have been murdered during a business trip in Kenya. Muresan, 32, was found dead in a hotel room in Nairobi, Kenya, in September 2012. The cause of death was listed as a heart attack, according to Romanian press. Muresan was the head of elections at SCL Group, Cambridge Analytica’s parent company, for two years before his death. According to one report, Muresan communicated that he just landed a contract in Nairobi and was planning to visit his father afterwards. Muresan’s father, Ioan Avram Muresan, the former Romanian agriculture minister, was convicted of embezzlement in February 2012. At the time of his son’s death, he was imprisoned in Gherla. Muresan, the elder, could not be immediately reached for comment. SCL is known to operate in Kenya. In an undercover video recorded by Britain’s Channel 4 News, Cambridge Analytica executive Mark Turnbull said the company had worked for President Uhuru Kenyatta during the 2013 and 2017 elections. “When you work in Kenyan politics, or politics in a lot of African countries, if a deal goes wrong then you can pay for it,” Wylie told the British lawmakers. An email to the Romanian embassy in Nairobi was not immediately returned.